This pin test was originally posted on CraftFail. I know it’s a little late to make this a Christmas decoration, but it’s still winter so I figure we can still try borax snowflakes. As with many crafts of this calibre, it’s cuter if a kid does it. You’re stuck with me. 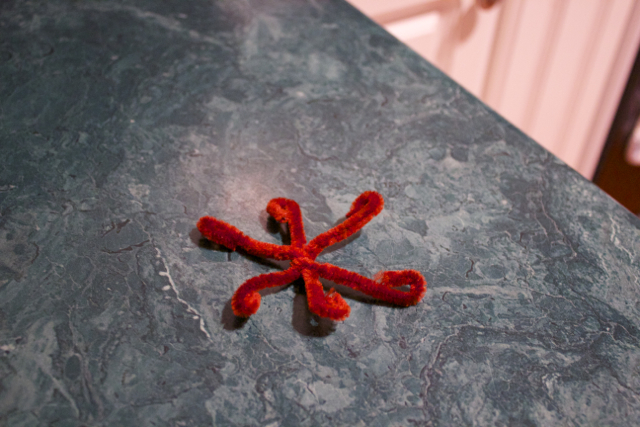 Also, I swear the instructions didn’t say what color pipe cleaner to use, so I used what I had. Erm. But I did manage to have, you know, the borax. I was feeling all superior and stuff, too, because I did a test run to make sure it would all fit together properly. 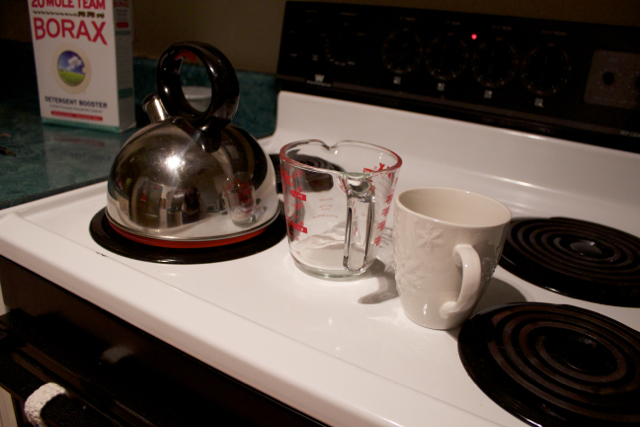 While I was boiling water to pour on top of the borax, I thought I’d make myself some tea. If you do this, don’t mix up the cups. 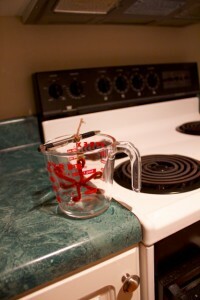 Then I set the pipe cleaner in the borax solution overnight. Well, actually overnight plus a day because I forgot about it. I have to say, I was rather unimpressed when I took it out. The original blog post led me to believe that the borax crystals would be highly visible and at least a little awesome. Lo, they were not. I mean, you could sorta see them, but mostly it was just a wet brown pipe cleaner snowflake, and that’s not really all that impressive. So: don’t use brown, don’t drink the borax, and don’t expect a beautiful miracle of snowflake magic. To be fair, it did look a little more impressive once it dried, but I would have liked to know that you should also dry it hanging up so one side doesn’t get all squished and not-crystally. So do that. Or just skip this whole thing. That’s probably the better idea. Would you like to own this beautiful piece of craft? Oh, you can. Sign up for the weekly newsletter and you can enter the monthly drawing for a chance to win! It's time for a Pintester craft, and things go about like the usually do. (Poorly.) 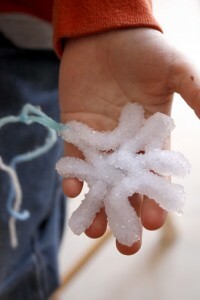 Pintester's borax snowflake results leave a little something to be desired. Give it another try 🙂 My daughter and I did these and they came out great. Looks red to me. Now to decide whether “red snowflakes” is a name for terrible cramps or a particularly hard episode of Game of Thrones. It looks red to me, too. I am voting for the Game of Thrones, mostly because “snowflakes” does not do justice to cramps. It’s been a week and half and I’ve missed you. Your “snowflake” totally looks like a starfish. Just tell people that’s what you meant to do. I hate to be off topic, but I REALLY like your nail polish! Please share the deets! I was also digging the Tardis colored nails. Very pretty. We do these every year. 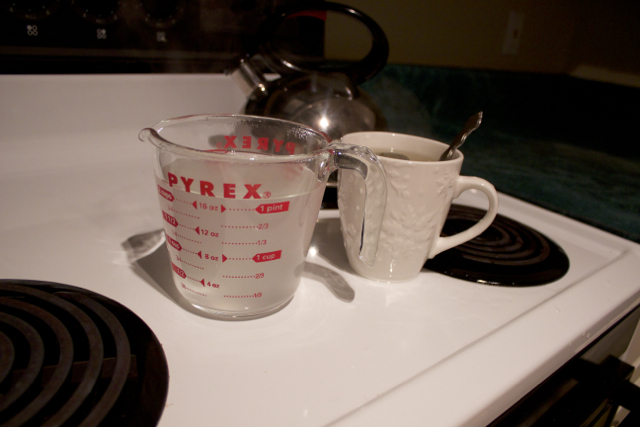 You have to really saturate the water with borax. It should be cloudy almost. Love your nails though! I’ve done this off and on with my Chemistry classes around the holiday break. It’s hit or miss every year, and even within each class. 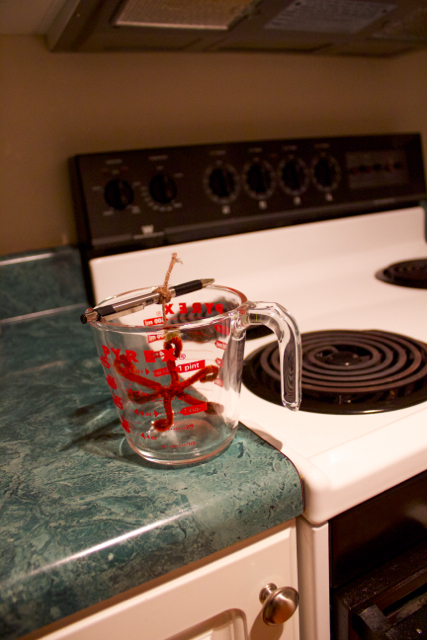 Like Sharyce said, the more borax, the better (kind of like when making rock candy – the more sugar in the solution the better). 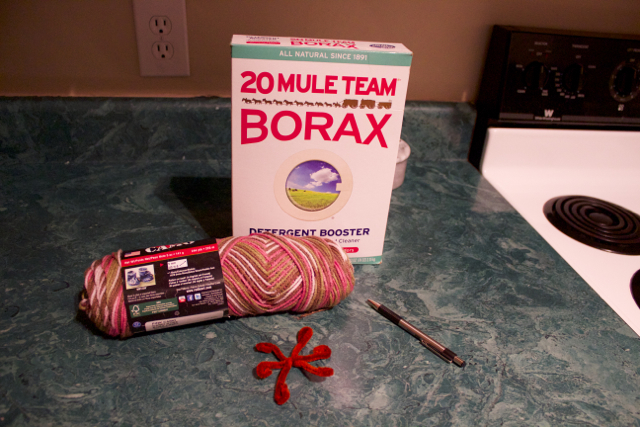 You need a supersaturated solution, so more solute (borax) than the solvent (water) can really hold – as it cools some of the borax particles come out of solution and crystallize and adhere to the fuzziness of the pipecleaner (there I go gettin’ all science-y on you. . . sorry. . . ). That being said, I love that yours looks like a sparkly six-pointed starfish, and any of them that I’ve ever set up as a demo for the class tend to look less awesome than yours. You would have won in my class! Some of the comments seem to suggest that this project is one to be improved upon so seeing a re-do near Christmas time would be nice. Love your blog. 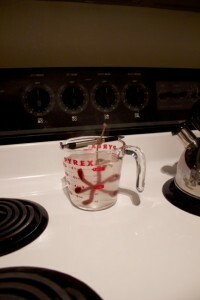 …also, don’t use paper cups to make these… not that I had borax + water all over or anything.